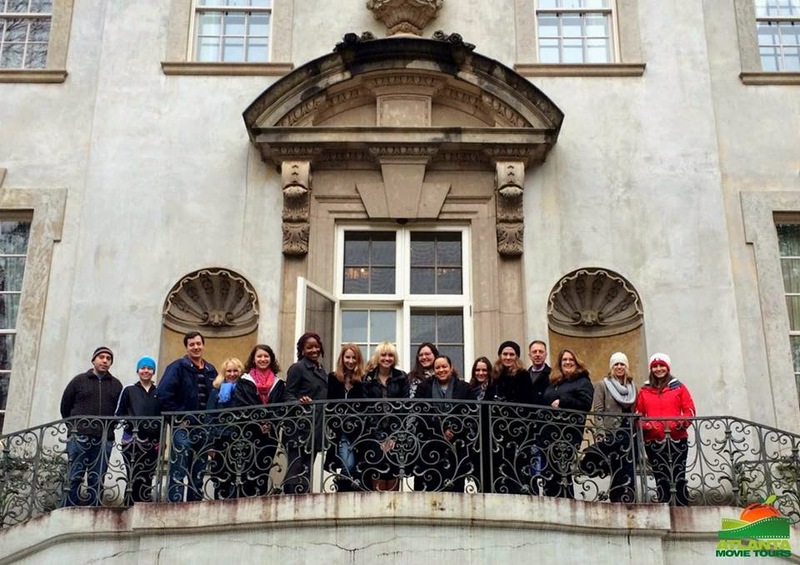 The odds are definitely in your favor when you take Atlanta Movie Tours' new Victory Tour, which visits real life sites from the movies The Hunger Games: Catching Fire and The Hunger Games: Mockingjay - Part 1. 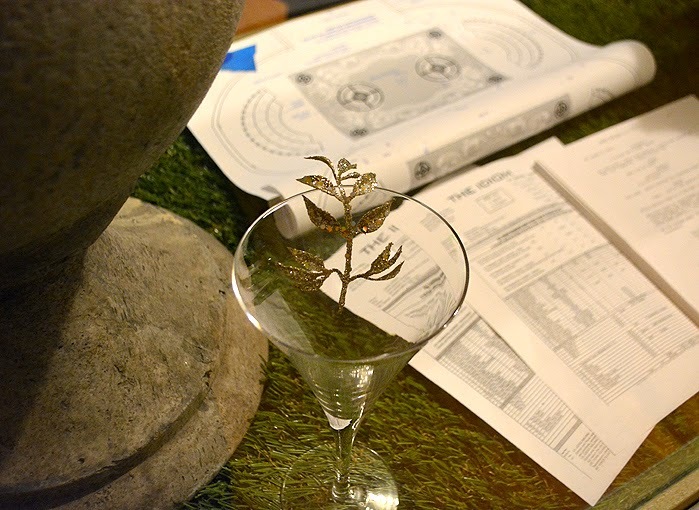 We journeyed behind the scenes of more than one District of Panem, as well as toured President Snow's mansion. The staples of all Atlanta Movie Tours tours are brilliant movie/television industry tour guides, trivia games (with prizes), onboard video screens to view filming locations in action, complimentary bottled water, and a group photo at one of the visited sites that is emailed to guests after the tour! We were treated to two group photos on this particular tour! Thank you, AMT! On this tour, I had the pleasure of sitting with fellow blogger friend Lesli Peterson, author of 365 Atlanta Family, and she's the Official Family Travel Expert for Georgia! 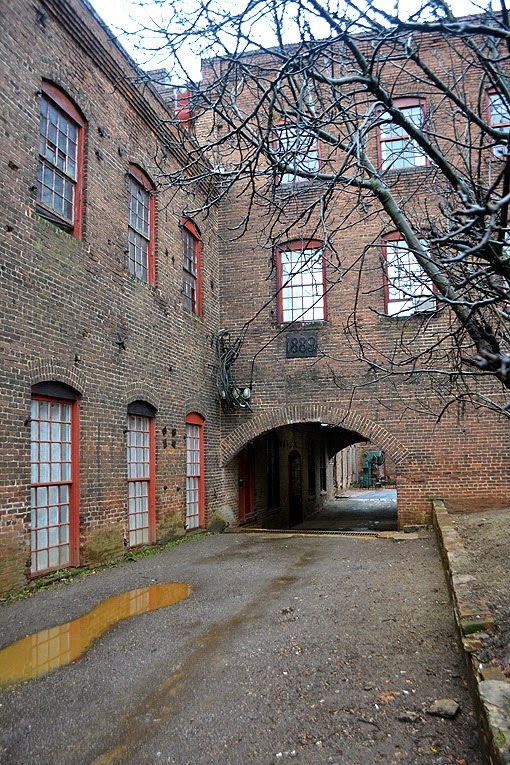 One of the places we visited was District 12, a place most Atlantans call The Goat Farm, an artist colony in West Midtown, and where a can't-be-forgotten scene with Gale Hawthorne and Katniss Everdeen took place. We did indeed get to see some farm animals, but the highlight of THIS tour stop was actually retracing Katniss' footsteps! 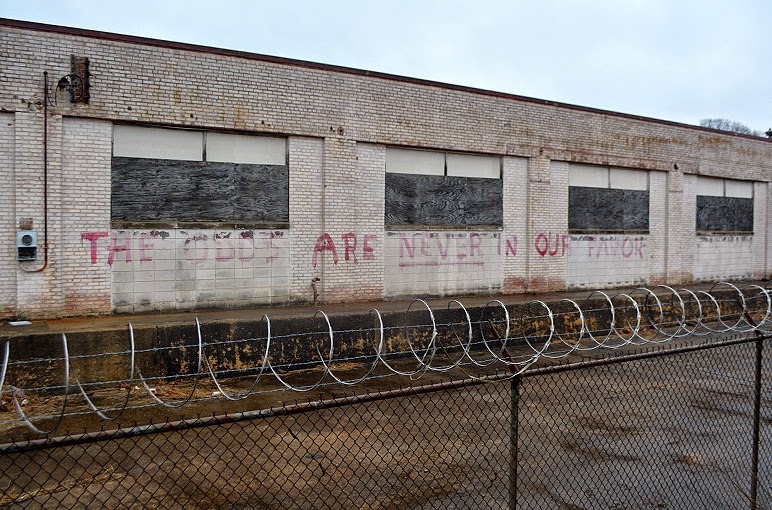 Even before we got to District 12, we saw the graffiti of District 11 dissidents, which reads, "THE ODDS ARE NEVER IN OUR FAVOR". To be a movie addict such as I am, it's awesome to see actual filming sites...you connect with a film and its actors, writers and its creator(s) in a way that nothing but a guided tour can provide. 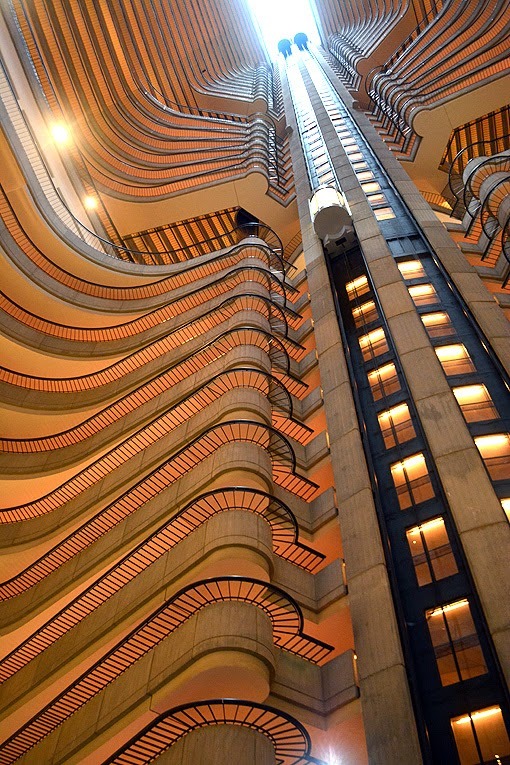 The 52-story Marriott Marquis Hotel was another stop on the tour, significant in that it's a filming site for three Hunger Games movies, including (rumored) the to-be-released The Hunger Games: Mockingjay - Part 2. You'll recognize the above photo as the elevator to Tributes Headquarters. We learned that Francis Lawrence thought the atrium resembled the inside of an alien's rib cage, which fascinated him to the point of wanting to film there. The atrium in the Marriott Marquis was the tallest in the world when the building opened in 1985, and even today fascinates neck-bending tourists...and locals. One of my favorite aspects of the day's tour was Kathryn, our beautiful and brilliant tour guide. Before this tour, I'd only met Kathryn socially, at a couple of Atlanta Movie Tours parties and a fundraiser. So, I already knew that she'd be engaging, funny and lots of fun, but she brought to the tour an encyclopedic performance, as well as the festivity of her lively personality! "Thank you, Kathryn, for a magnificent tour!" Kathryn is also an actress, who has performed on numerous episodes of The Walking Dead. Check her out on Facebook! Patti Davis, one of the founders and owners of Atlanta Movie Tours, was also on this tour. Patti and her husband have become dear friends of mine, so that she was along made it extra special. "The Atlanta History Center is excited to partner with Atlanta Movie Tours for their newest product," said Sheffield Hale, president and CEO, Atlanta History Center. "We know fans won't want to miss the largest Hunger Games tour in Atlanta. We are looking forward to hosting them at the Capitol!" You've probably noticed that I've written quite a lot about the Atlanta History Center. That's because it's one of my favorite Atlanta destinations. The historic homes, the gardens, the museums, the programs...there's so much to experience at the Atlanta History Center. I've enjoyed the great pleasure of working with their Marketing staff over the years...Hillary and Martha have been magnificent! And he's not one to boast, so let me do it for him. Sheffield Hale, president and CEO of the Atlanta History Center (AHC), is without question committed to making the AHC everything it can be. I've seen him at countless AHC events and commented on that fact recently. Without hesitation he remarked that, "It's part of the job." Thank you to the Atlanta History Center for helping to make Atlanta Movie Tours' Victory Tour another wonderful tour! When we arrived at the Atlanta History Center (AHC), specifically the Swan House, Kathryn turned the tour over to AHC staff for that segment. Our AHC tour guide was brilliant and quite entertaining. I've been visiting the Atlanta History Center for so many years now, it's difficult to imagine what it must be like to see the Swan House for the first time. I do know that I still find it incredibly impressive and absolutely splendid. The artifacts, some of them quite substantial and/or elaborate, on display are alluring and intriguing. I want to go again to explore more lingeringly. Don't get me wrong...we were never hurried during the tour, there's just a lot to take in! A good thing. One of the things that I enjoyed most about this part of the tour was learning about the transformation process, from Swan House to President Snow's mansion. And there's a wedding story tied to the filming process that you're going to find fascinating! You might even find yourself a little jealous. I know I was. 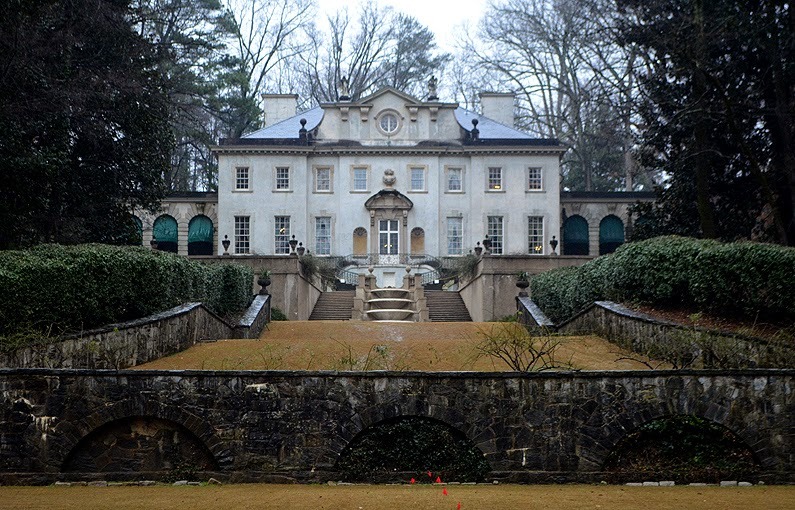 If you've never toured the 1928 Swan House at the Atlanta History Center, you're missing out. To tour it through the lens of The Hunger Games is magnificent! 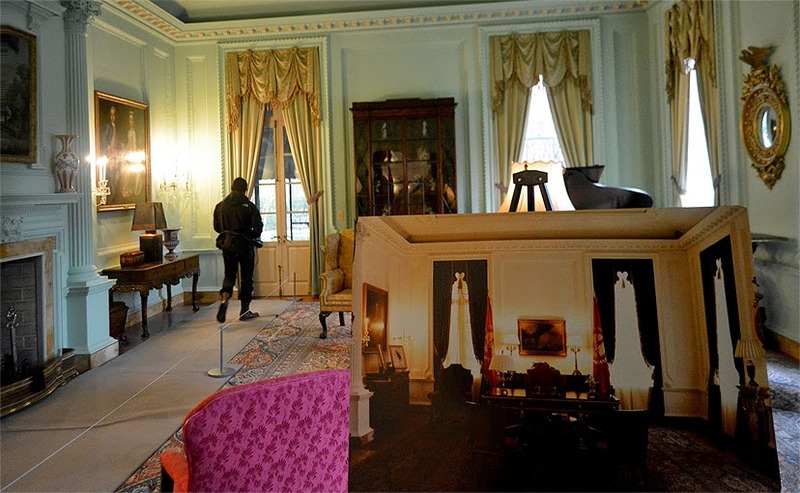 Some of the film's artifacts that we'd seen upstairs were used in filming in the Green Room on main level, which served as President Snow's office in the movie. If I recall correctly, it was the one room that was altered the most for the film, but it's been full restored, of course. I've had the pleasure of sitting at the U.S. President's desk in the Oval Office, but that was a fabrication at Madame Tussauds in New York City—still pretty cool! 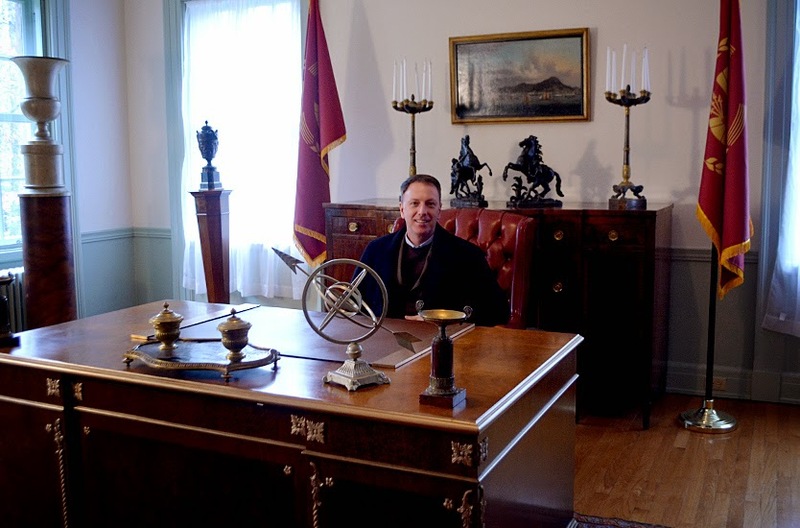 But sitting a President Snow's actual desk felt quite...well, rather presidential! Too bad Snow was such a...well, I can't say that here. However, I can say that Donald Sutherland (President Coriolanus Snow) is an absolute and totally magnificent actor. I've loved his work since first seeing him in the 1978 Invasion of the Body Snatchers, which also featured the late, great Leonard Nimoy! Go on any of Atlanta Movie Tours' guided tours and you'll quickly see why they've earned 5 stars on TripAdvisor and its prestigious Certificate of Excellence. More than 10,000 people have been on one or more of these tours, but the Victory Tour debuted just last month, so you can still be one of the first to experience it! 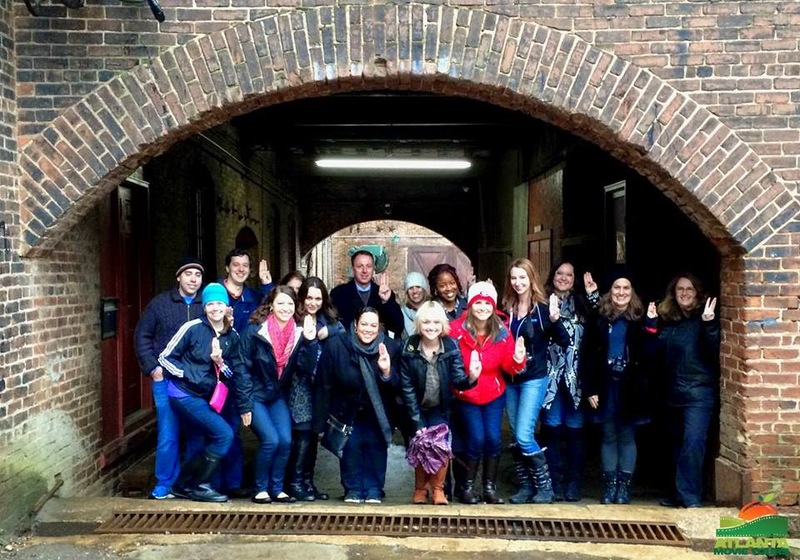 Book your Atlanta Movie Tours Victory Tour now, and may the odds ever be in your favor! Thank you, Terry! This is such an awesome tour. Patty and Carrie have created such a wonderful and fascinating destination/attraction for Atlanta...those ladies are true Atlanta gems! Patti! I'm so glad you to call you "friend"...who knew going on a "Margaret Mitchell's Gone With the Wind Tour" would turn into such a dear friendship. You're amazing!